Anger is a normal human emotion, and being angry at times is healthy. It’s also healthy, and normal, to feel angry at people whom we love, sometimes. However it’s not normal or healthy to be angry in a way that’s harmful to the people we love, or to the relationship we share with them. 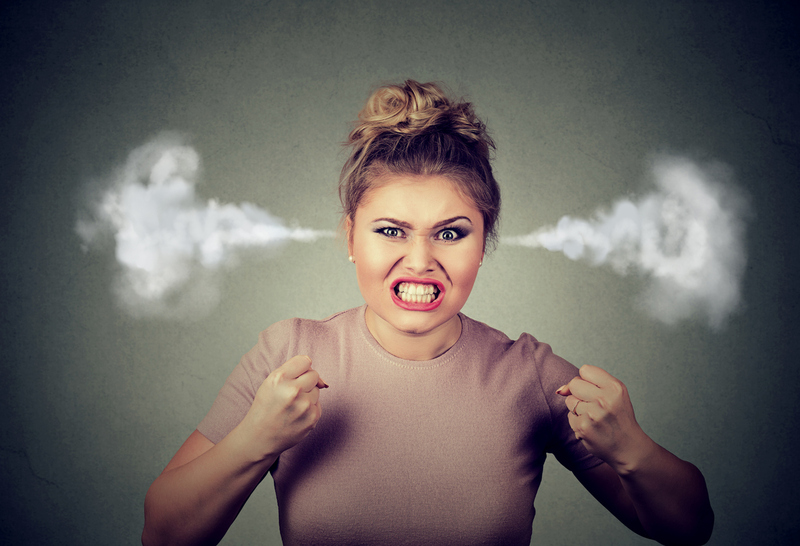 There’s a real skill to being angry in such a way that we can simultaneously hold our relationships safe from our anger. Couples who have great relationships know how to protect the relationship they share from even the most justified anger whenever it arises in one or both partners. If you’ve developed a habit of venting your anger in an unhealthy way, your partner will be suffering for it, and in turn, you will be too. First you’ll need to safeguard your relationship from your anger. Then you’ll need to learn new ways to express anger in healthier ways. For now though, try this technique, which will help you to stop hurting people you love. Clients tell me it’s enough to stop them in their tracks as it forces them to become conscious of the damage they’ll do if they vent in unhealthy ways. 1. Find a favourite photo of your loved one (whoever is negatively effected by your angry venting- whether this be your partner or child) and put it on your phone, on the fridge, on your desk… wherever you can see it easily. 3. Breathe deeply and slowly through your nose, using your diaphragm to fully expand your lungs. Slightly constrict your throat when you exhale – you’ll notice you can hear the exhalation. Repeat three times. Pamela Pannifex is a psychotherapist, marriage therapist, naturopath and founder of Sunshine Holistic Counselling on Queensland’s Sunshine Coast. Credit is due to Terry Real of Relational Life Institute for the ideas in this blog. Pamela has been helping people create personal wellbeing and relationships that thrive for over 25 years. Contact Pamela here. WANT A LITTLE PICKMEUP SENT TO YOUR INBOX? Subscribe to the Sunshine Holistic Counselling newsletter and get a free eBook sent to your inbox! Pamela is a psychotherapist and naturopath specialising in relationship counselling for couples, individuals, co-parents, and families. Pamela empowers people with the skills they need to create great personal wellbeing and relationships that thrive. "You've helped us make sense of a relationship that's been so confusing. We now know that we are capable of so much more. We are looking forward to using our new skills and we are both feeling so much more optimistic about our future together". "Seeing Pamela was a hugely beneficial experience thanks to her warm nature, vast life knowledge, compassion and subtle toughness! We worked through a number of issues ranging back from my early childhood right through until the present day and found common links between each, enabling me to develop a greater understanding of myself and how to make important life decisions. My relationship is the best it’s been, my career is accelerating and I feel as balanced and comfortable as I ever have. I would highly recommend anyone going through any difficulties in life, however big or small they may be, to spend time with Pamela and find happiness through her brilliant work". “Through my work with Pamela I have regained not only health but a happiness and purpose in life and an ability to cope with change that I previously didn’t have. The person I am today can only be attributed to Pamela’s hard work and professionalism”. “I came here because my girlfriend wanted to. I didn’t think it would be beneficial at all but I was wrong. It opened up so many doors and shed a lot of light” John. “Without completing the Couples Toolkit our relationship would not be as strong or connected as what it is now. Was truly beneficial in every way” Kate. “We both found Pamela to be extremely friendly and instantly felt at ease during a difficult time. After each session we both felt re-invigorated and more capable of dealing with life's challenges armed with a range of new tools”. 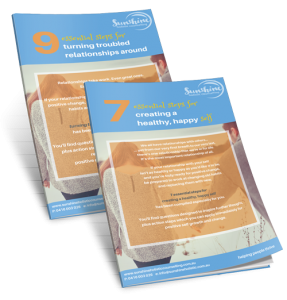 "The Couples Toolkit from Sunshine Holistic Counselling provided my wife and I with a secure, safe place to openly to unpack the issues we were facing. We learned strategies to keep strengthening our bond and marriage. Pamela was professional and tailored our sessions to us. We highly recommend Pamela for any couples wanting to strengthen their relationship." “I have found working with Pamela invaluable, she has taught me how to understand myself and my thoughts and how to deal with them. I enjoyed the process of learning thought techniques and how to change my thought patterns going forward. I would highly recommend Pamela to anyone who feels they need direction and support. Pamela is friendly, understanding and non-judging”. "We’ve cleared the air about an issue that’s been weighing us down for years, and you've taught us how to deal with it moving forward. We both now feel so much happier and confident about our future together". “Pamela has an ability to explain concepts very clearly. She helped us see how we could interpret things differently and make changes to reduce everybody's stress”. “Pamela grasped the complexity of our relationship problems so quickly, and helped us understand how we were interacting and how to change things for the better. If you have complex issues to deal with, Pamela has the experience and skills to help you”. "He was so emotionally withdrawn from me but I hadn’t realised that my own behaviour was part of the cycle of pushing him away. Thank you Pamela, for opening our eyes to our own unhappy “dance”, and for giving us the skills to change". "I found Pamela to be a strong, independent, assertive woman, who inspired me and gave me a clear direction so I could regain my confidence and become the person I inspire to be. Pamela also assisted our youngest daughter and greatly influenced her health and wellbeing. We thank you tremendously for your professional, kind approach, and highly recommend your services to anyone/family/relationship, which has fallen to destructive behaviours”. "We’d be considered as an ‘older’ couple. We have both previously been married and have several adult children and grandchildren between us. Our relationship was suffering under the pressure of a large blended family and busy lifestyle. Pamela has given us the skills to discuss and deal with issues that have been recurring and stressful for us. She is very approachable and professional. Her sense of humour helped us both feel comfortable - even when she challenged us to confront our own unhelpful behaviours. It’s early days, but already our relationship has improved immensely and we know it will continue to do so. We only wish we’d found her years ago!" "I was referred to Pamela for marriage counselling and from the very first meeting I knew I was safe in her expert hands. She clearly has a strong passion for what she does and had the ability to teach me skills that identified with my specific needs. She approached every meeting with a level of genuine yet professional empathy and warmth. Had I not met Pamela, my life would likely still be full of miscommunication and unhappiness, but with her help I have a much brighter, happier life to look forward to. I often joked with my friends that if every person had a Pamela in their lives, the world would be a much happier place"
"What really helped us feel at ease was Pamela's warmth and professionalism. My husband knew we needed help but was so nervous about seeing a therapist. I knew he would be at ease here." The sessions I’ve had here have been completely life changing. I can’t believe we’ve done so much over such a short time. Thank you. I am a psychotherapist and naturopath specialising in relationship counselling for couples, individuals, co-parents, and families. I empower people with the skills they need to create great personal wellbeing and relationships that thrive. 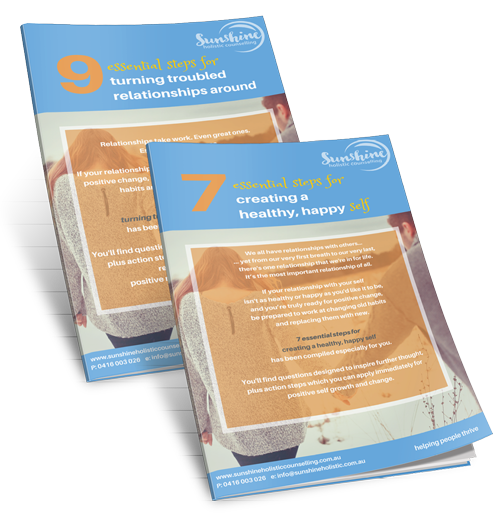 Prime your own relationships to thrive, with practical tips and advice in our regular blogs.